How some stores treat Authors, and a mini move review. Very good. Great? No, but it's very entertaining. 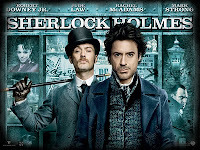 In most ways, it's how I imagined it was going to be- a reinterpretation of the master detective as a bit of a swashbuckler, but with a funny, eccentric, and troubled soul. There were a couple of instances of flash backs and flash forwards that were very nicely done, and everything is wrapped up in the end with a "Scooby-Doo" style explanation. 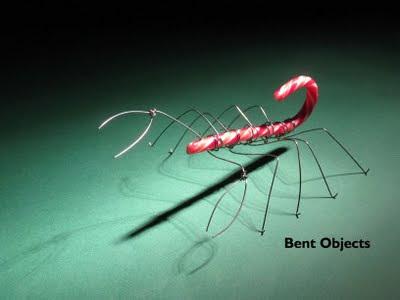 So I visited a Barnes & Nobles Bookstore yesterday before we saw the movie, and I'm happy to say that they were sold out of "Bent Objects". The fella said it had done well, because they had quite a few copies on hand. He was nice enough to invite me back to sign some copies when they get a new shipment. Believe it or not, I've found this to be an unusual attitude. "Why would that be?" you might ask. "Wouldn't an author signature be a motivating factor for the purchase of a book?" I wonder the same thing. I've actually heard from several other authors who have had the same experience as I've had, and that's one of many booksellers acting like they are doing the author a favor by letting them sign their books. Why is this? The managers actually have to think a second or two before they give me a positive answer, and then not one thank you given. I'm at a loss on this. Wouldn't their customers feel like they're buying something a bit special if it were signed? Don't they want happy customers? I would understand if they asked to see my I.D., or I'd show them my photo on the book-jacket, but that doesn't seem to be the problem. One of the last managers I spoke to basically shrugged his shoulders and said "hey, it's up to you". Really? Should I just go into a store and start signing away? Seems a strange thing to do. I'm not looking for people to kiss my ring when I make an offer to sign, but it would be cool if they said "Oh, that'd be great. Thanks." Can anyone out there enlighten me on this? I'll let the other authors who've run up against this in on the secret too, so they can find out why they're treated like schmucks in some of these stores. 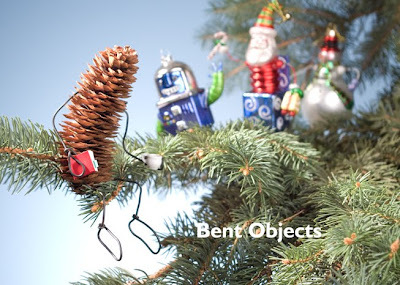 I've heard from a couple of people who received the Bent Objects book for Christmas and have enjoyed it. Thanks for those messages. We're now home from family festivities. Either open a bottle of wine, or head to a local theater to see a film. Decisions, decisions. Hope you all are having a good one, whichever holiday you choose to celebrate. I can't remember how I stumbled on Noah Scalin's Skull-A-Day blog a couple of years ago, but it immediately became my first stop on the internet every day, for a year. Well, slightly less than a year, because I didn't discover it until after he was already at it for several weeks. Just imagine, challenging yourself to pick an object and recreate it every day, in a different way for an entire year (the blog is still churning out neato skulls, but now mostly by fans). I've since found other people doing a drawing a day, a sketch a day, whatever, but none inspired me, and excited me, like Noah's project where, from day to day, I had no idea what he would try (and succeed at) next. His project was so much more wide ranging, and a much larger challenge. A skull made out of an arrangement of human bodies? Check. Making a loaf of bread so that a skull was visible on individual slices? Check. Great, great stuff. Now, I've never been particularly in love with the whole skull motif. In general, I think it can be a short-handed way for a not-so-good artist to try and add an edge to their work, an air of "cool" when there was none before. But that's not what Noah's blog and his present work is about. If you check it out, you'll see what I mean. In full disclosure- I've been an internet friend of Noah for a couple of years now. We even did a collaboration during the run of his project. He's been kind enough to mention my book on his site, and I've mentioned his book here before. But this interview was motivated by me just wanting to honor and recognize an artist who has brought me so much entertainment, excitement, and intrigue over the years. He's one of those people who attacks things from a different angle. So, what's the deal with you and skulls? I’ve always loved them! Seriously I just found a great drawing of a skull that I’d made at age 6/7 so I think that’s fairly good evidence. By the time I’d started Skull-A-Day I had a bunch of skulls decorating my house and my skin so they really are an integral part of my life. I’m also very committed to the idea of living each day as fully as possible so the classical idea of having skulls in your environment as “memento mori” makes sense to me. How long into your project did it take before you asked yourself "What the heck have I gotten myself into? About 10 days. That’s when I discovered that there were more than just my friends watching, but actually a large international audience was starting to pay attention. It also stressed me out that I was getting positive feedback so soon as it made me feel like I needed to maintain a certain level of quality, if not improve upon it constantly, which is damn near impossible to do on a daily project. I'm sure time was an issue during that 365 days. Between thinking up ideas, creating them, photographing them, then blogging them (which can be a job in itself sometimes), what things did you have to give up during your project? I'm sure it was a lifestyle change to some extent. Strangely I felt like I gained a lot more than I lost during that time! I was still working a full-time job, so somehow I managed to squeeze more and more out my day as it went along. After it was over, it was hard to imagine how I found the time every day. Oddly enough even though I had less time for some social activities, I was actually seeing some of my friends more often (and for longer periods of time), since they were helping me get things done. I guess what I really gave up was sleep, since I was getting up earlier and earlier to do more in the day (as I had committed to the fans of the site to be done by midnight each night)! What was the most challenging skull that you created? 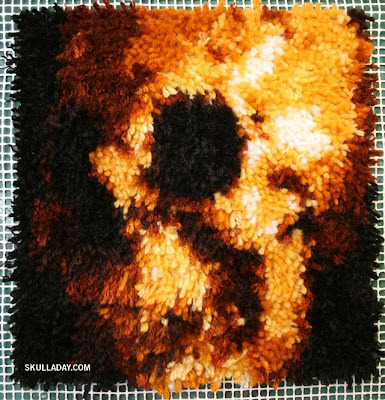 For sheer time and effort, the latch hook skull was especially tough. It wasn’t a particularly hard technique, but it was a complicated process to work out how to translate a preexisting image into something else and the labor is not really something one should attempt in a single day. It took me a total of nine hours to complete. Not only were my arm and hand cramping from the repetitive motion, but I developed a migraine part way through and had to take a nap to get rid of it before continuing. I think the end result was worth it, but I’ll never do latch hook again! Which is the one you were happiest with? That’s a really hard question. There are so many I like a lot and in many ways it was more about the overall experience than the individual pieces. 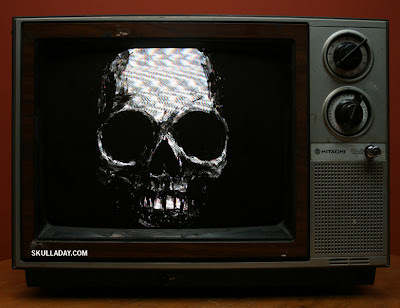 That said, I find the Skullevision to be very satisfying. It makes any TV show interesting and is great to leave on at parties. You got to appear on the Martha Stewart show. What was her green room like? Any good snacks? It was tastefully appointed, there were delicious fresh baked cookies, and a large screen TV where I could watch the show as it was taped. Quite pleasant. Since she's been to prison, don't you think it would be cool if she showed her audience some of the shiv making skills that she learned in the big house? Absolutely. And considering she’s had me and Snoop Dogg as guests I think anything goes at this point! Did she make any unwanted advances? 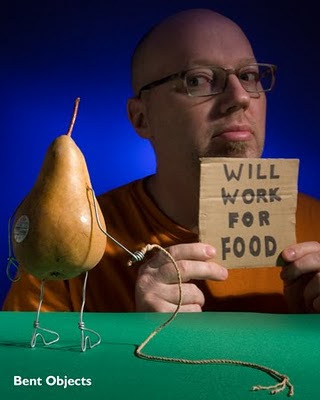 Any wanted advances? Did she ever say "It's a good thing?" Ha, she was very nice and we had a lovely chat while we waited together between shots. She was very focused on the craft part though and continued working on her potato stamps even when the cameras weren’t on us. What do you think of Damien Hirst's skull? The diamond covered one, I mean. Oddly that skull came out shortly after the project started, so even though it was not an influence on me it came up a lot at that time. I don’t really have a strong opinion about it either way. It’s pretty, but I’m not moved by it and I understand that the sheer ridiculousness of it offends a lot of people and turns them off to modern art, which I think is a shame. In many ways I hope that Skull-A-Day is the remedy for that. Do you still wake up thinking about things that you can make a skull out of? No, I think I’ve gotten it mostly out of my system. Though I do still find myself making skulls with very little provocation. What's the latest project that you're excited about working on? League of Space Pirates (http://www.spacepirate.org) is a multimedia science-fiction project that I’ve been developing for a long time and I’m finally finding the time to make some headway on it. I’m looking to release a full-length album as part of it in 2010, so I’ve been having a lot of fun spending time in a recording studio away from my computer. Thanks to Noah, who put up with my silly questioning! 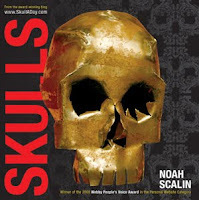 His book "Skulls" is a collection of many of the skulls that made up his year long Skull-A-Day project. I especially recommend it as a gift for that hard to buy for young person that you have trouble finding something for. It's available on-line of course, as well as most well-stocked book stores. Alternate title- It's That Time Of Year Already? Yes, I have about 10 more Bent Objects books that I'll gladly sign and doodle, and still get to you by Christmas or Hanukkah. I think if I ship them Thursday by priority mail, they should get anywhere in the U.S. in good time (Canada, or other international, I'm afraid not). The cost is 45 dollars, and you can pay using my donate button on the sidebar. The paypal form has a place for info that you think I'll need. Thanks! So I was a bit depressed when I posted this morning. 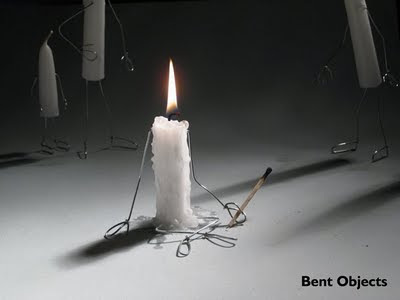 Then I remembered something I read on Twitter last night when someone mentioned "Bent Objects". She tweeted about laughing while reading my book in the MOMA gift shop. 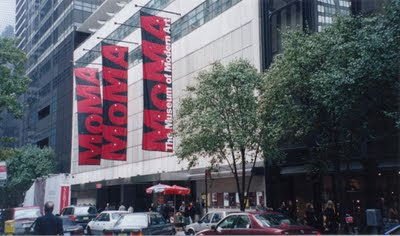 The MOMA store might be selling my book? I made a cup of tea and looked at their website. Bummer. It wasn't listed. But I picked up the phone and called the store itself. I've been feeling pretty good ever since that call. We don't need anything nearly this big (it's big as far as I'm concerned) to go celebrate, so you can bet we're going out tonight to do something, somewhere. I know I shouldn't need validation for my work, but you know what? I do. I've said before that since my book is usually stocked in the "Humor" section of stores, there's always a part of me that wants it to be in the "Arts" section, even though it's probably served better to not be. The part of me that struggles to be an artist does feel validated. That part of my brain is very, very happy right now. Somewhat related- Bent Objects: The Secret Life of Everyday Things was scheduled to be on the CBS program "The Early Show" this morning. So, I'm fairly excited. I call my mom and everything. Then my wife and I sit through 2 and a half hours of the show... Then when the "Gift Book Segment" of the show finally happens, the person talking about the books is Oprah's O Magazine editor! My wife and I look at each other and say "yes!" ... Then they run out of time before they get to my book.